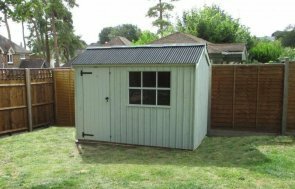 The shed is available in a range of different dimensions, with this one measuring 1.8 x 3.0m and boasting an apex roof covered with corrugated material. 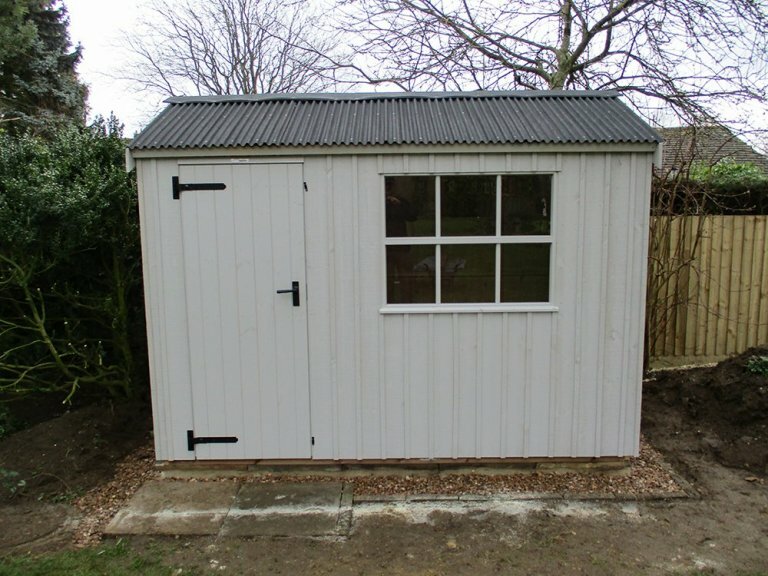 The exterior of the shed is clad with vertically-sawn, rustic-cut cladding painted in the shade of Earls Grey, with a single Georgian window and cast-iron door furniture. Our National Trust range offers six different exterior paint shades, with our customer here opting for the tasteful Earls Grey. 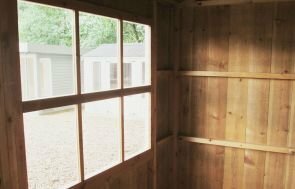 As well as our attractive range of National Trust sheds, we also offer a selection of National Trust summerhouses, which can be seen at our various UK show centres. At the centres you can expect to find up to 25 different display buildings and a team of friendly advisors on hand to help. Locate your nearest here, or alternatively, get in touch with us on 01760 444229.